Whats so new you ask? 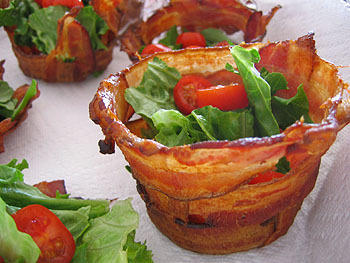 Well, BACON CUPS of course! I was stumbling last night and came across this. I just had to share it. I guess its something of a BLT minus the bread. Anyway to see how these things are made check it out at http://www.notmartha.org.